Clients want proof that search engine optimization works for them. Increased rankings are the best way to prove to your clients that your hard work—and their money—is making a positive impact and return on investment for their business. 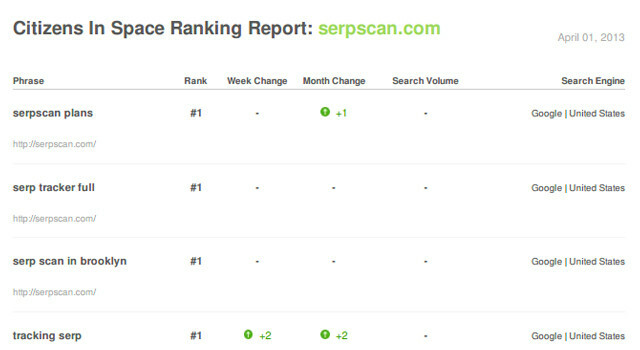 There are two types SEO reports for you to download: PDF reports and CSV (spreadsheet) reports. When viewing the keywords for a given website there are two links to download reports. The first link title PDF Reports will take you to a separate page where you can download any report you've ever created or generate a new one. For your connivence reports are automatically generated on the 1st and 15th of every month. The second link is titled Download CSV and when clicked will create a CSV file of up to date ranking data.